Who says that Penang is all about the food and heritage only? Even though Penang is historical, it still keeps up with modern times with plenty of shopping malls! Specially for Penangites or those visiting Penang soon, here are Penang’s top 10 largest shopping malls! Opened in 2006, Queensbay Mall is located in Bayan Lepas. 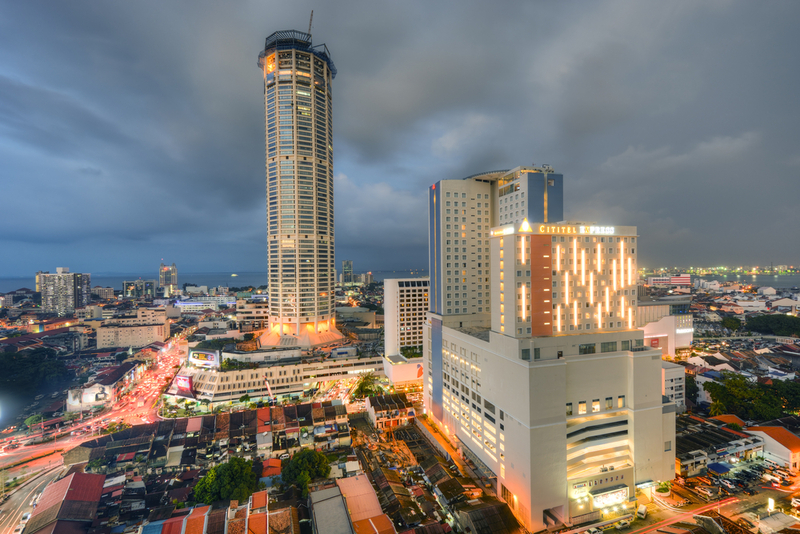 At 2,500,000 square feet, it is the largest mall in Penang! Did you know? It is also one of the top 10 largest malls in the whole of Malaysia! Gurney Plaza has nine floors, 380 shops, and a total area of 858,000 square feet. It opened back in 2001, and has attracted various local and international brands over the years, making it a major retail and entertainment centre. 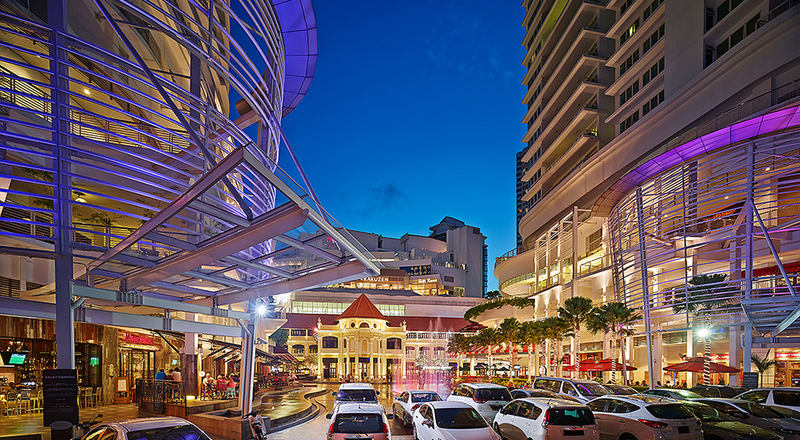 At an area of 800,000 square feet, Sunway Carnival Mall is the third largest mall in Penang. It has four storeys, and it opened in 2007. Not only that, it is located right next to the Sunway hotel in Seberang Jaya, making is convenient for Sunway hotel guests. More than just a mall, KOMTAR Tower is actually the tallest building in Penang, and the sixth tallest building in Malaysia! Completed in 1986, KOMTAR stands for “Kompleks Tun Abdul Razak”, named after our second Prime Minister. Its total area is 765,100 square feet. Gurney Paragon turns five this year! Not only is it a mall, but it also consists of condominiums and an office block. Its mall is made up of nine storeys, and has an area of 700,000 square feet. 1st Avenue Mall is sandwiched between KOMTAR and Prangin Mall, and it has links to both malls. Having 10 floors, 1st Avenue Mall has a total area of 655,000 square feet. Popular brands such as H&M, Skechers and Cotton On can be found here. 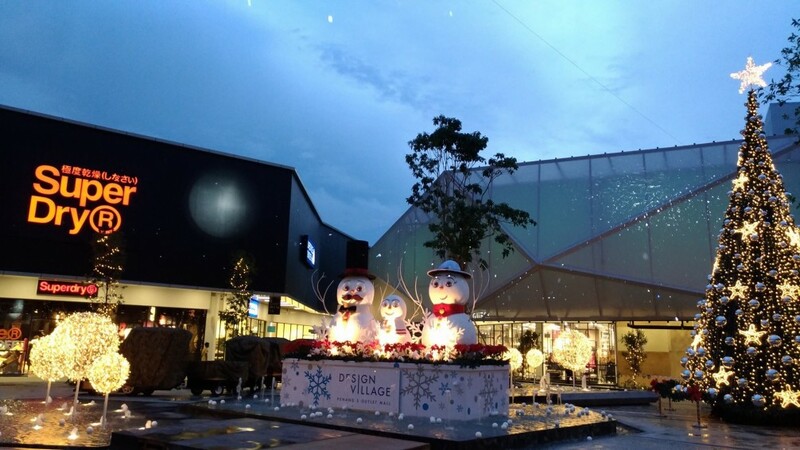 Design Village may not be the biggest mall in Penang, but it is the biggest outlet mall in Malaysia at 400,000 square feet! Relatively new, it only opened two years ago in 2016. Part of the Penang Times Square, M Mall 020 opened in 2015. The mall may only have four floors, but it is impressive in terms of decoration. Not only does it have murals and replicas of Penang’s famous landmarks and lifestyles, but the floors are also divided in themes which take after different countries! It has a total area of 353,317 square feet. Opened in 2010, Straits Quay is a seaside mall! It has a total area of 270,000 square feet, and has a convention centre and performing arts centre inside it. Not only that, it also has a marina to host small recreational vessels! Opened in 2015, Udini Square has three floors and a total area of 264,000 square feet. Even though it only has three storeys, but Mr. DIY’s largest hardware store is located here! Besides that, it also has two major sports chains, SportsDirect.com and MST Golf Superstore. Note: We weren’t able to find any information on Prangin Mall, so it was excluded from this list. A True Malaysian Dessert: Introducing The Milo Ice Ball “Kaw Kaw”!